Diabetes is one of the most widespread diseases in the world. Even though it is a common disease, it is not something to be taken lightly. Diabetes is known for causing neuropathy or nerve damage that can reduce the sensitivity of feet and people will not feel any pain at all. This can result in serious problems like infections and foot ulcers and even worse, amputation. 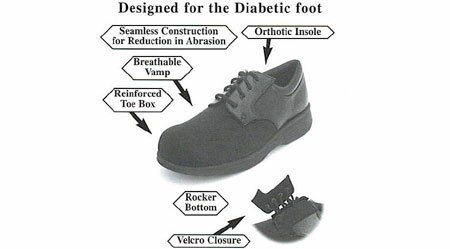 It is because of this, the diabetics need to select their shoes properly. A good pair of doctor-recommended shoes is never a luxury for them. It is rather a necessity. So, if you are a diabetic, how do you select the right pair of shoes? The duration of time for which the patient has been diagnosed with diabetes. Degree of normal sensation present in their feet. Presence of deformities and abnormalities on feet. ‘Anything goes’ is a phrase that only a selected few among millions of diabetics can use when it comes to finding right pair of shoes. If the patients have healthy feet with good sensation and their blood sugar levels are properly controlled, they can go for just whatever they like. But, it is very important that they keep inspecting their feet every time they wear their fancy shoes. They need to look for ingrown toe nails, swelling, warm areas, redness, cuts, sores and blisters. If they notice anything like those mentioned, they must report to their doctors immediately. Any diabetic patient with slightest of impaired circulation and sensation or even minor deformities must opt for especially designed diabetic shoes. 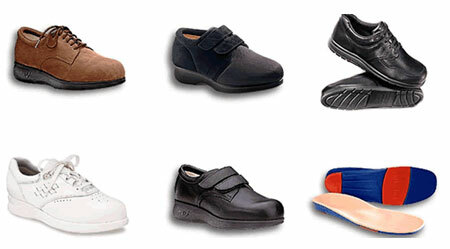 What types of shoes work well for diabetics? Shoes with stretchable and soft leather. Laced shoes instead of loafers because laced shoes offer greater support. Soles must be cushioned and not made of thin leather. This will absorb shock. The shoe tip and the longest toe should be apart by half the width of the thumb. Thong sandals must be avoided under all circumstances because skin can breakdown due to the pressure points. What time of the day must a diabetic shop for shoes? Feet of diabetics keep swelling as the day progresses. So, diabetes patients must buy their shoes later in day when their feet have swollen. This will allow them to buy shoes that can fit well. Always consider wearing a pair of socks when trying a new pair of shoes. This will give a proper fit and ensure that there is enough space for the feet to breathe.